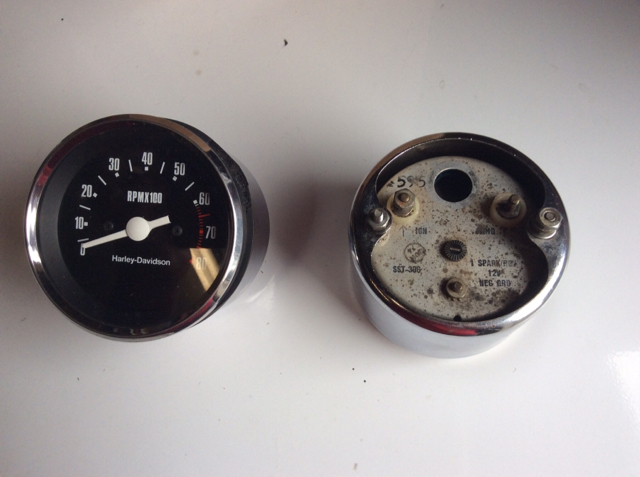 I want to adapt a Japanese electronic tachometer, the type which came stock on ‘70’s and ‘80’s Sportsters , to my ‘77 fxe. I see a lot of these nos gauges for sale on eBay and the tach’s have four wires: red, white, orange, and pink. Can anyone tell me where these wires go , ie which go to ground, signal, ignition, etc? well, you probably will have to find a nos fx tach as they receive the signal diff than the sportsters. you could adapt the sportster tach however. i will check my library for the wiring, but the signal was taken off the alternator and not the ignition. better to send a schematic, will pm one first chance. Last edited by bustert; 17th October 2018 at 00:25.. I would have guessed that the signal, even though in has a different source, would be the same; so a sportster tach would work on an FX. I could be wrong of course. I have not seen the posts from DD on this topic. ok, on your year model, they went to the newer charge system and done away with the special regulator. 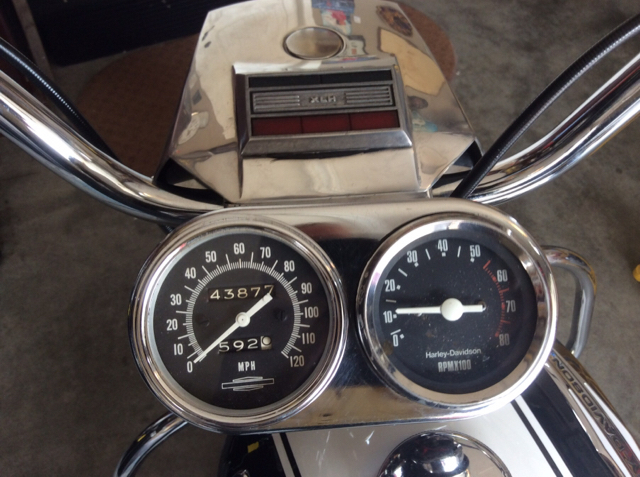 the tach is hooked up like the sportster. on your machine, power comes from the accessory circuit breaker orange wire. if you can post the exact tach you will be using it would help. on yours, the tach light is tied to the speedo light with black wire tied to the orange wire. another black wire is to ground and it to ties to the speedo light. the clarification DD made was in a discussion on the charge system actually. there was a member that was trying to hook up a tach to the older style system which outputs from the regulator that has a diff output. my 1974 fxe had that system. Thank you--very helpful! Basically, I want to move my gauges off of the dual handlebar bracket and move them to the top mounts on the forks. 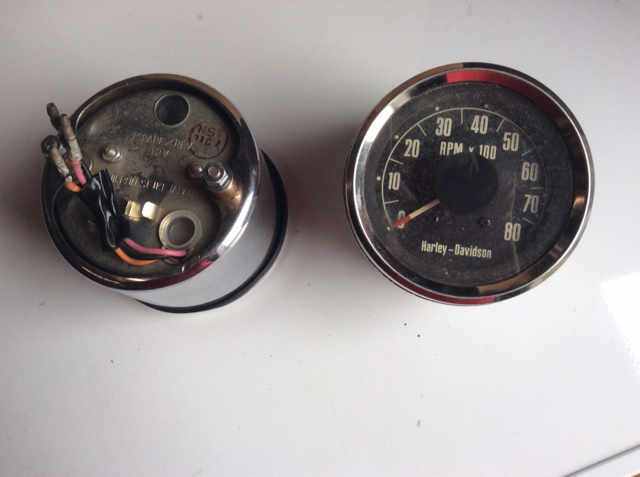 I saw all of these NOS Sportster gauges on Ebay and was wondering if those gauges would work on my '77 fxe. On my current stock gauges, it seems that the signal and ipower wires are the same--ie orange to ignition and pink to the coil. I have been watching this thread and have used the search regarding electronic tachs on sportsters.....somewhat the opposite of what Doc 308 is doing. It is suggested not to use the the switched / ignition side of the coil to power the tach....is this given, that it will not give a correct reading ?.....why ? It appears to be a convenient place to pick up power. Two wires to the tach ...ground, and a light bulb. a big problem is that when the magnetic field collapses, it induces counter EMF back into the primary side of the coil, this will actually ring a few times before the next saturation is called for.